This is the Incense burner we have sold in the shop for years. This little Horno is the traditional outdoor oven used in Northern NM. 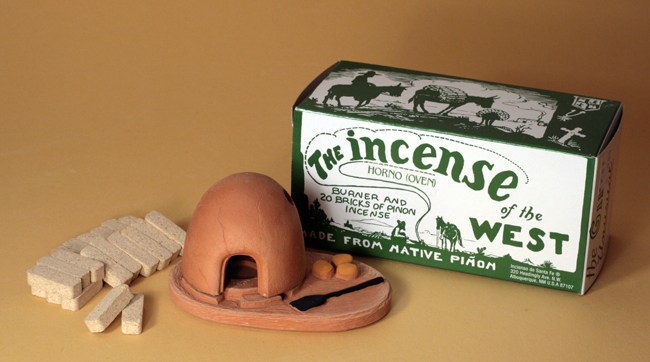 comes with 20 incense bricks, and when lit, the incense smoke comes out the chimney hole in the dome! approx. 2 1/2" tall, the base is approx. 4 1/2 long.